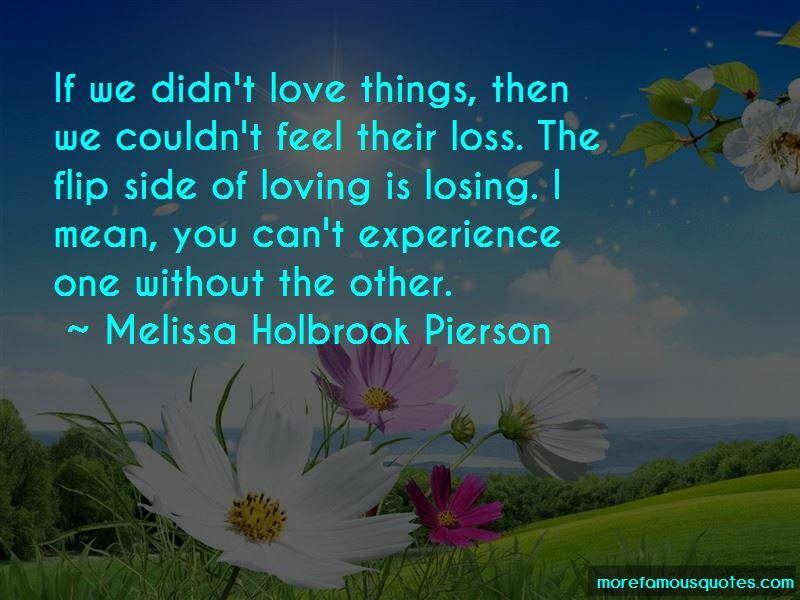 Enjoy the top 7 famous quotes, sayings and quotations by Melissa Holbrook Pierson. We're physical objects, we think of ourselves as these kind of free-floating brains, but the brain is such a little part. It's way smaller than we like to think. We think we're these important human beings. We're not animals or anything. But what did we come out of? What are we made out of? We're made of the same stuff as out there. Why is nostalgia such a bad thing? Nostalgia is a longing to return. If you really loved where you came from, if, in essence, you really loved yourself, how can you not want that to exist? It's like wanting your parents keep living. 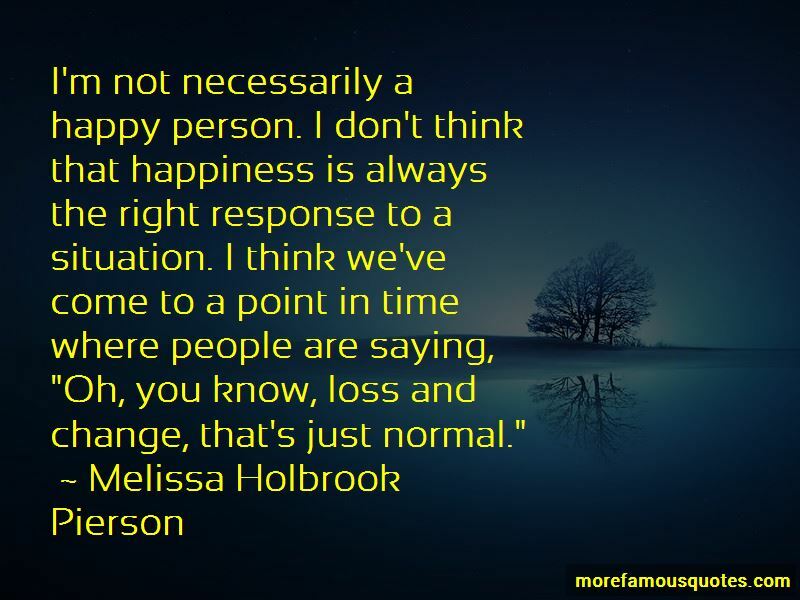 Want to see more pictures of Melissa Holbrook Pierson quotes? 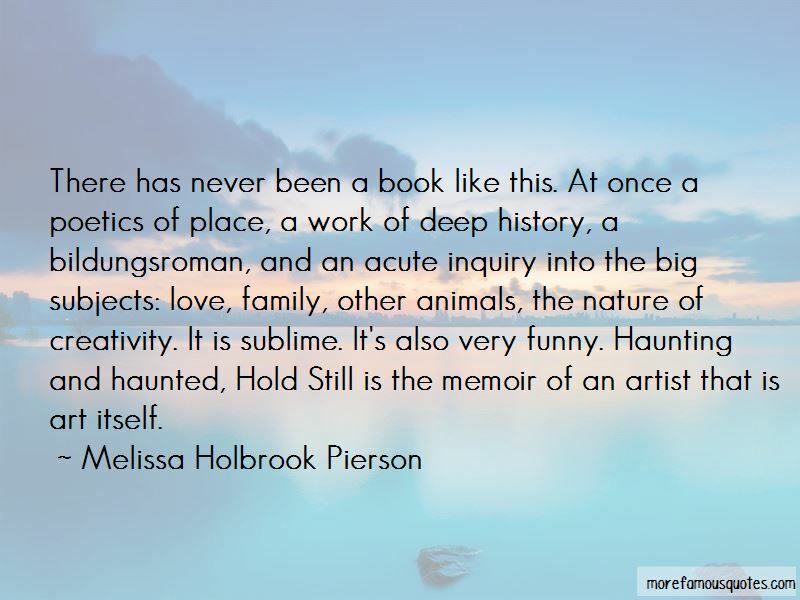 Click on image of Melissa Holbrook Pierson quotes to view full size.